“Stein leaves no doubt…that she’s doing portraits in the same way that Picasso and Braque are doing portraits.” So says Jerome Rothenberg — very helpfully — in the first minute of our discussion of Gertrude Stein’s “Christian Bérard.” PennSound’s Stein page includes a recording made in New York during the winter of 1934-35 of the first page of the poem as it appeared in Portraits & Prayers, the Random House volume that had just been published. The portrait of Bérard — a friend of Stein’s, a painter and set designer and frequenter of her salon — had been written in 1928. But back to Jerry’s statement, meant to get us to talk about non-representational depictions, for (the first line of the poem), “Eating is her subject. / While eating is her subject. / Where eating is her subject” certainly does suggest, emphatically, that neither Bérard nor anyone else is the subject of the poem. 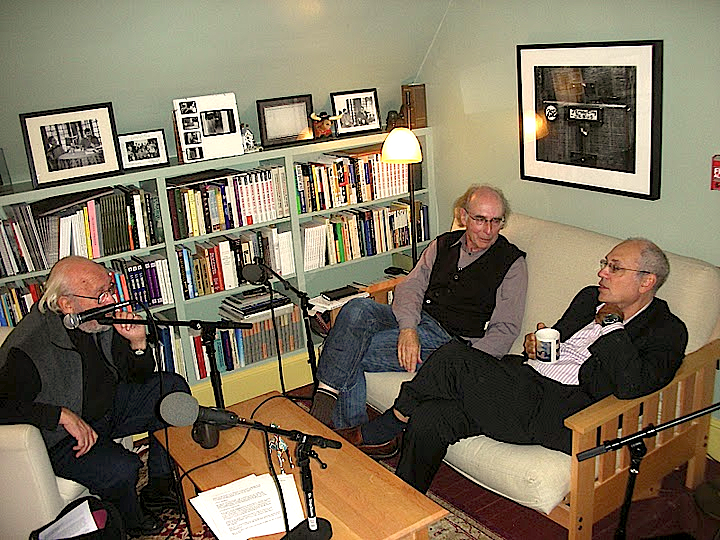 Bob Perelman joined us for PoemTalk #10 and noticed that when Jerry read the poem aloud for us he erred in reading the line, “She ate a thin ham and its sauce.” Jerry said “name” instead of “sauce” and Bob persuasively runs with that apt substitution. This is a poem about the named and not-named — or, as Lee Ann Brown, our third PoemTalker this time, noted, how language for Stein is something that can be eaten and, in that sense, purely enjoyed, taken in, consumed, made an embodiment. I kept pushing my conversants to find an at least winking reference to Bérard, at least in the avoidance of him. We know that he was considered an improvisatory genius (in stage design) and had irresistible personal charm despite “his apparent indifference to personal hygiene.” He cut quite a figure in the Stein/Toklas flat, especially at dinnertime. Yet about Bérard's paintings, Stein quipped: “They are almost something and then they are just not.” This there/not-there quality of her subject’s art — especially when contrasted with Picasso’s and Braque’s portraiture (the real instigation of the poem) — seems replicated in the poem’s relationship to portraiture itself. Such winking Paris-insider references aside — they become mere literary-historical background — we four took pleasure in the pleasure Stein obvious took here, word by word. Bob’s sense of the punning “Withdraw” (pull back, yes; but also, draw one kind of portrait while withdraw another kind), Lee Ann’s and Jerry’s sense of child-like play on sounds, our all getting hungry during a late-afternoon talk about a poem dwelling upon “the difference between steaming and roasting,” “breaded veal and grapes,” “pigeon and a souffle”…these are elements of a language that is like food: delicious, to be taken in. Stein is perhaps to the literary critic as the lover of meals is to the foodie. The foodie’s irony: there’s talk about food and then there is its realist purpose. What if language were really seen in such a way? We’d all be happier. 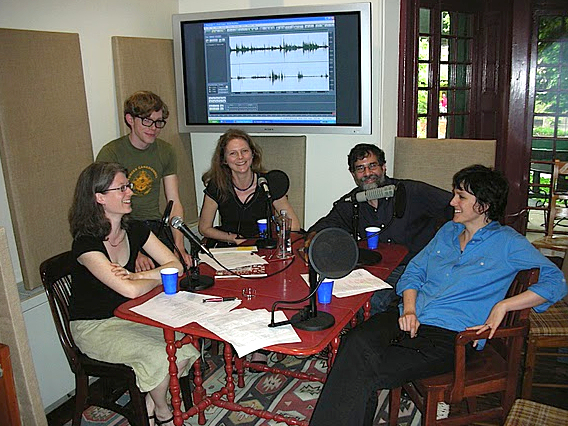 PT #10 was directed and edited by Steve McLaughlin and recorded in the Arts Café of the Kelly Writers House. Our poem is available as a free, downloadable mp3 recording on PennSound. Dance Research Journal 22/1 (Spring 1990), p. 32. 2 The Autobiography of Alice B. Toklas, 1933, chapter 7.